Sierra’s OEM/Economical 50 Series controller is available in a low flow version ideal for controlling gas mass flow rates up to 50 slpm (nlpm). The medium flow version can control higher gas mass flow rates up to 200 slpm (nlpm). All controllers are available in your choice of lower cost aluminum construction or 316 stainless steel. In contrast to other OEM/Economical MFC's on the market today that use non-linear CMOS and MEMS flow sensors that struggle with their gas-incompatible materials, Sierra uses its advanced 316L stainless steel platinum-wound capillary sensor technology and LFE to deliver high application flexibility and stable long term accuracy for any gas, including toxics and corrosives. 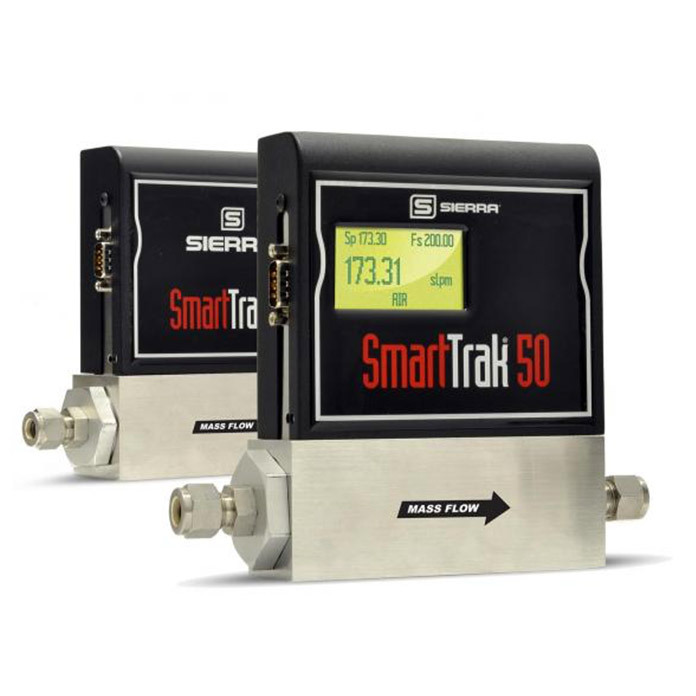 Sierra's SmartTrak® 50 Series OEM Flow Controller has been honored by the readers of Flow Control Magazine with their annual Product Innovation Award for its advances in flow measurement technology.